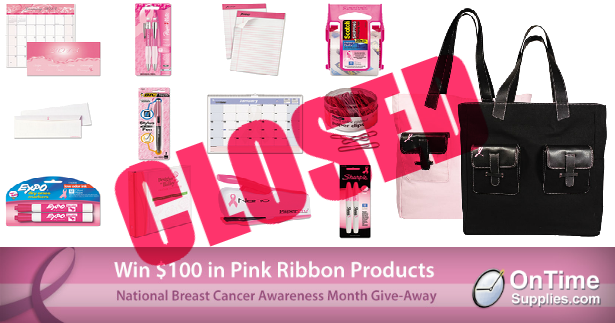 Thank you to everyone who commented and tweeted to win the National Breast Cancer Awareness Month Giveaway. You helped make this year’s Pink Ribbon Giveaway a huge success! I have an aunt who battled breast cancer. I watched her and other brave ladies endure hours of chemo and radiation therapy. I would like to win so others may be aware and hopefully stand united with friends and family who endure this disease. Thanks for helping to spread the word about the breast cancer awareness month giveaway, Arlinda! And congratulations on the win! 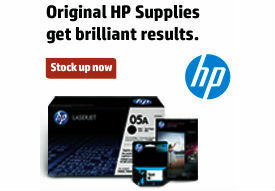 Everyone else, keep watching the Office Ink Blog, Facebook, Twitter pages for more chances to win great prizes from OnTimeSupplies.com! This is truly an honor! Thank you very much for advocating on belf of those women with breast cancer.